Bah... lol I don't know if I like this or not. You would be surprised by how many freaking layers it took me to get that background X_x Anyway, here is a Christmas wall for you. I think at least the Full Moon lovers will like this one enough. ^^ Ja! I love it! Beautiful pic! Great job with the wallpaper. Very festive too! Can't wait for xmas!!! O.O soo kyooote kyoooote kyoooooteee!! whoa! Very nive! Its like a chrismas card! Great job!Everything is just right, even the size. I so will fav this! It's so great!!! ^-^ and its very pretty, the feel goes together. But hmm, thought for next time, dont chop off their hands!!! ;-; a fuller pic of the girl would be great ^-^ but other than that, wonderful job! fav! Quote by darkwaterbunnywhoa! Very nive! Its like a chrismas card! Great job!Everything is just right, even the size. I so will fav this! It's so great!!! ^-^ and its very pretty, the feel goes together. But hmm, thought for next time, dont chop off their hands!!! ;-; a fuller pic of the girl would be great ^-^ but other than that, wonderful job! fav! yes! What she said XD Its very pretty!!! wow. it's so beutiful. i've never seen it before. i love it and i love fullmoon also. this is a really christmas wall!! the christmas outfit from fullmoon, meroko and takuto are beautiful! wow!! this is so pretty!! the colours fit together perfectly! 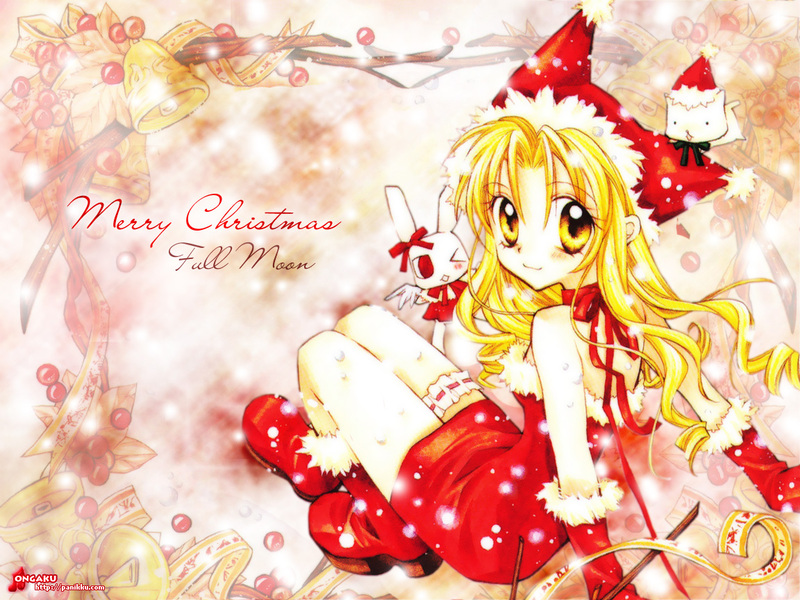 a fab x-mas/fullmoon wall! !